Canterbury City Council carried out a training exercise today to rapidly protect a number of properties from river flooding in Barham. 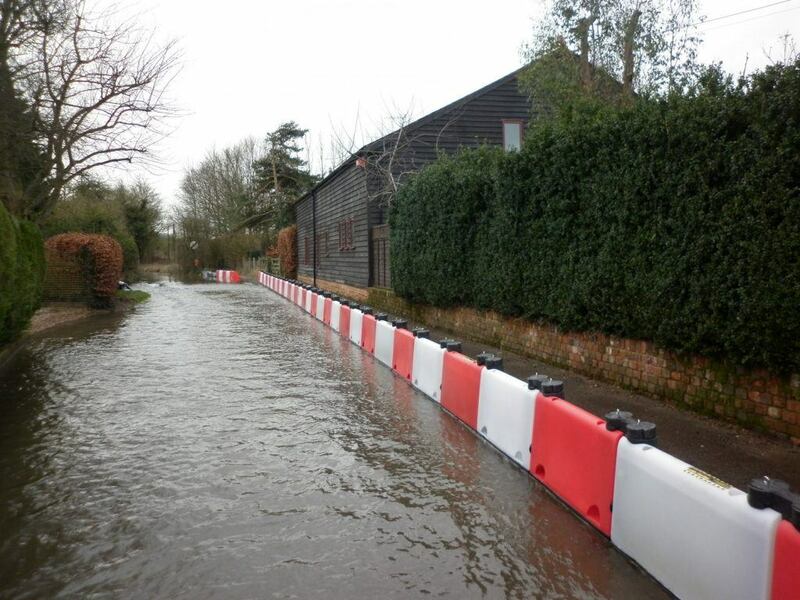 The village of Barham has flooded in the past and Floodstop has been supplied to help mitigate against the future threat of flooding. Floodstop offers a solution that is not only effective, but due to its small footprint and high visibility acts as a delineation barrier between the pavement and flood waters when assembled. Prior to Floodstop sandbags were used. Viral and bacterial infections often present in flood water get transposed onto the porous hessian sacks. Floodstop was just one of a number of projects, which included clearance of ditches and the installation of new drainage to alleviate flooding in villages in the Canterbury district following severe flooding along the Nailbourne, Little Stour, Great Stour and Petham Bourne rivers. Floodstop and FloodBlock Barriers are incredibly versatile. They can be swiftly deployed to divert floodwaters or surging tides away from buildings and valuable property. Please contact us today for more information.